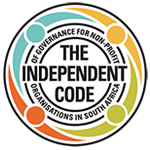 Inyathelo defines Advancement as: “A systematic and integrated approach to building and managing external relationships with key constituencies and stakeholders in order to attract support”. Through our programme work with organisations, we’ve found that organisations often start off in very similar places in terms of the Advancement journey but the drafting of milestones sets organisations on their individual trajectories and can lead to very different engagements with each. This trajectory is also influenced by who’s invested and engaged from the outset as well as the additional people resource that comes on board. Advancement is a long-term approach which requires time and resources, including people and transaction costs. Training, workshops, learning events, programmes and the like provide the impetus for renewed commitment to overall organisational health. The challenge is therefore to provide organisations with the thinking and sufficient tools to be able to continue the focus on sustainability in as focused a way as with their programmatic work. Given the holistic nature of the approach, it needs to be shared across the organisation. More importantly, leadership needs to buy into the approach and drive Advancement the initiative across the organisation. Without people seeing where they fit into a framework, the integrated and systematic nature of the approach is at risk. Where the thinking hasn’t been shared with and infused into the organisation, it also impacts negatively on the Advancement journey and its timing. This article is an extract from What we’re learning: Perspectives from a Resource Mobilisation for Research Programme; a publication developed to show some of our learnings from the Resource Mobilisation for Research (RMR) programme. Inyathelo was brought on board by the International Development Research Centre to work alongside participating organisations as they implemented their RMR grants. NextAre you certain of your NPO’s Section 18A Status?